The Music Business Summer School is an advanced training and professional development programme for those active in the German-speaking music industry and offers training in the three fundamental areas of publishing, live entertainment and – new this year – the recorded sector. The programme is designed for employees and self-employed people from all music industry subsectors and graduates with work experience in the field. Practical and theoretical experience in each area is an explicit criterion for participation. In the days just prior to Reeperbahn Festival, the Music Business Summer School will provide the best possible combination of theoretical knowledge, insights into legal frameworks and the practical aspects of work in the music industry, and opportunities to network. The training of BDV, DMV, IHM and VUT takes place at the Hamburg Media School in Hamburg from September 13th to 19th. Apply now for the Music Business Summer School. The number of participants is limited. A selection of participants is made by the respective board of each school after the application deadline has expired. 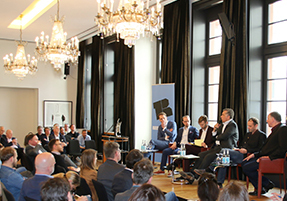 On Thursday, the Reeperbahn Festival together with the Hamburg Ministry of Culture and the Hamburg State Representation hosted the Reeperbahn Festival – ECHO Edition to discuss important goals on a European level and to present these to responsible parliamentary representatives. After a welcome speech by Dr. Carsten Brosda, Hamburg's Minister of Culture and Media, Dr. Florian Drücke (CEO of the German Federal Music Industry Association), Dr. Christian Ehler (Member of the European Parliament, initiator and co-chairman of the Intergroup "Creative Industries" in the European Parliament – CDU), Erhard Grundl (member of the German Bundestag – Chairman of the Committee for Culture and Media – Bündnis 90/Die Grünen), Helge Lindh (music correspondent – SPD Parliamentary Group) and Karsten Schölermann (Managing Director Live Musik Kommission e.V.) joined in a panel discussion at the headquarters of the Hamburg State Representation in Berlin moderated by Jan-Hendrik Becker entitled "Music moves Europe! Can Germany's music industry handle Europe? 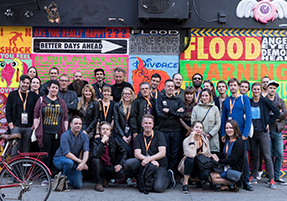 Join the Reeperbahn Festival New York delegation at A2IM Indie Week! The final deadline to submit your application as a delegate is April 15th. Reeperbahn Festival is returning to New York City and once again offering German and European music industry representatives access to the first-rate programme of the American Association of Independent Music’s annual conference, A2IM Indie Week Presented by SoundExchange, an event traditionally open only to A2IM members. Moreover, we teamed up with SyncSummit NY, the yearly music licensing marketplace, taking place from 22 – 23 June. Click here package options for RBF NYC Edition. 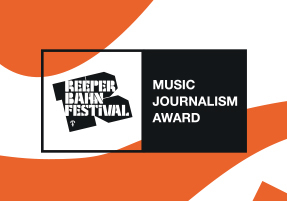 The ECHO in the "Partner of the Year" category, which recognises outstanding, innovative achievements that support music, goes this year to the Reeperbahn Festival. Alexander Schulz, Managing Director of the Reeperbahn Festival, commented on the ECHO: "We are delighted that the impact our work is having on the music industry in Germany has received this recognition! We see the award as an invitation from the industry to continue to make our event one of the most important marketplaces globally." Reeperbahn Festival will take place from 19 – 22 September, 2018 in Hamburg, Germany. Until the end of June the Conference Ticket can be purchased online at the Summer Rate for only € 219,- (plus 19% VAT + sales fee)! 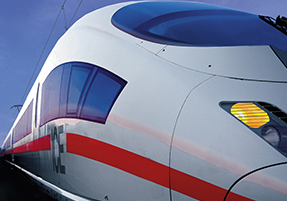 Also, we have put together a great selection of hotels located on and around the Reeperbahn. Le Printemps de Bourges was founded in 1977 to offer a new place for alternative artists. Since then, it has remained the French leading festival dedicated to music creation and upcoming talents promotion. Every spring, Le Printemps de Bourges attracts thousands of music professionals and is still the best gateway to be introduced to the French music market. It is also the home of the iNOUïS, the most important French musical contest with more than 4000 contenders every year.